Here are some great books! Nearly all of the books listed use solid research methods, including empirical research. I'm not much on guru's or this week's latest trend. 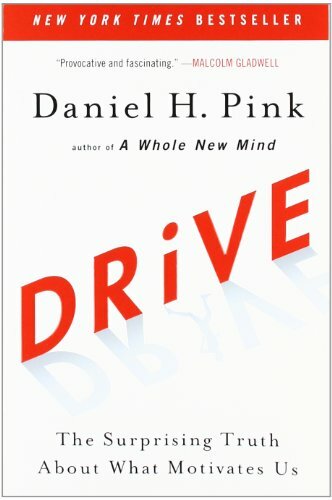 Dan Pink’s book on Motivation 3.0! 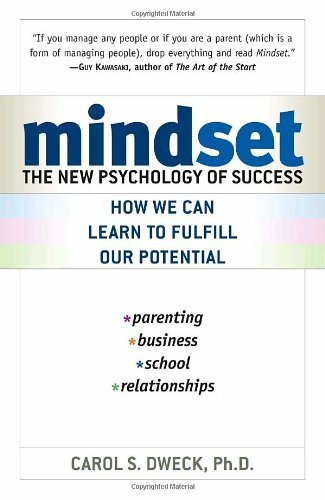 Great read and the starting point for anyone who’s interested in the new motivation model and how it works at work, at school and at home. The focus is on empirical research that’s been done in that last 50 years on intrinsic motivation and management best practices. This book addresses what Dan Pink calls Mastery, it's about being in the grove, that place we find when we're fully engaged in doing something, whether it's sports, art or a project at work. Great book about Semco, a company in Brazil that's been run democratically for over 20 years and has managed to have an average gain of 24% a year. Ricardo Semler is my hero! 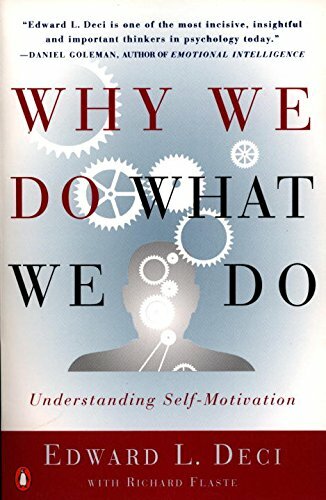 Ed Deci and Richard Ryan have been doing empirical research on self-motivation for 20 years, this book illustrates how intrinsic motivation works and why carrots and sticks don't work for creative tasks. Another great read. The story of Best Buy, the folks who brought us Results Only Work Environment. 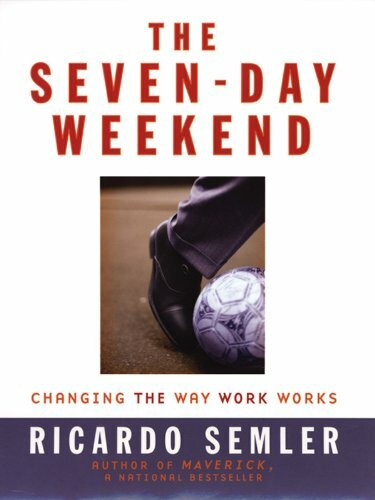 I liked the Seven Day Work Week better, as it's much broader, though this book is great for getting a good, basic understanding of how a ROWE works. Make sure you get the 2001 version, it has an update at the end of it. 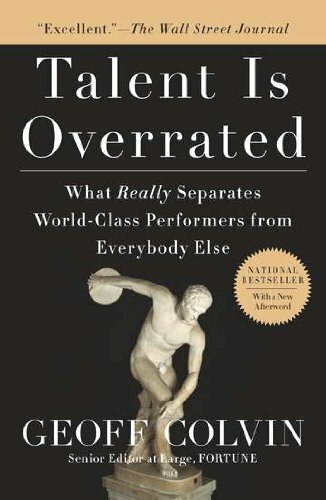 Another great book about intrinsic vs extrinsic motivation. Addresses, work, school and home. 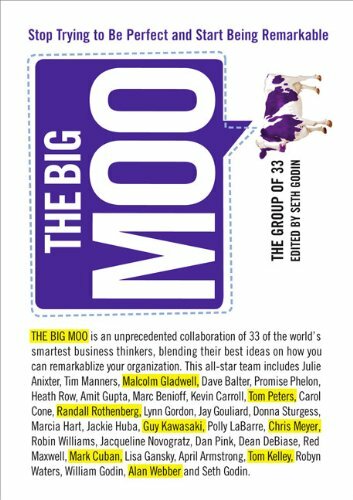 This book has lots of crossover with Motivation 3.0 but it's more about the idea economy and how to leverage it to your benefit. I came up with some good ideas about how to market myself while reading it, in fact I came up with the name of this blog while reading it. Thanks Seth! 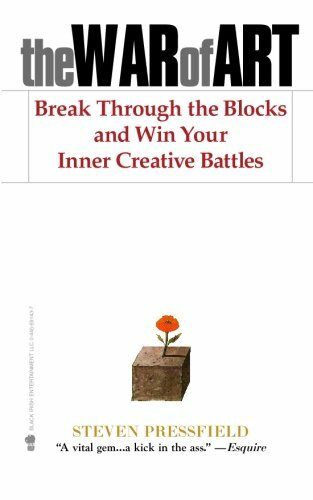 If you are trying to be full time creative, this book will help you keep on track and keep the Resistance at bay. 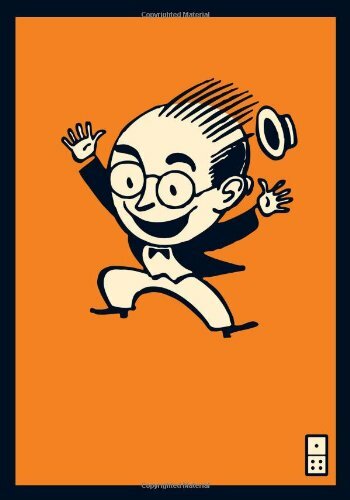 A collaborative book, organized by Seth Godin, the profits go to charity. The group of 33 tackle one urgent question: What does it really take to make your organization remarkable? Quick and great read. Motivation 3.0 in action! How SEMCO transformed from command and control to a democratic workplace. Here you'll find 12 years of evidence that providing autonomy, mastery and purpose not only results in happy employees, but in growth and profit. Though those aren't the main goal of SEMCO, Ricardo says, “The purpose of work is not to make money. The purpose of work is to make the workers, whether working stiffs or top executives, feel good about life." This book is inspirational, actual evidence, that Motivation 3.0 works. It's well written and engaging. If I didn't know it was true, I'd swear it was a fairy tale. Tony Sheih’s first book. 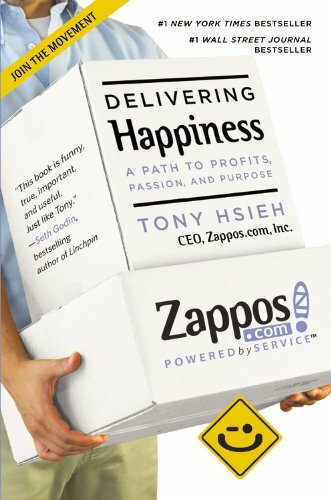 It’s autobiographical and focuses on the Zappos story, it’s failures and successes. There are some good lessons in here for big business and while it’s not a blue print for how to run a business, managers and CEO’s as well as the rank and file can find some gems in here. Tony would like Delivering Happiness to turn into a movement and has been studying the science of happiness which is writes about in chapter 7. He’s hoping to inspire everyone to find happiness and his happiness bus tour is proving that families and individuals are being inspired by his book. It’s a great read! This is a great book. 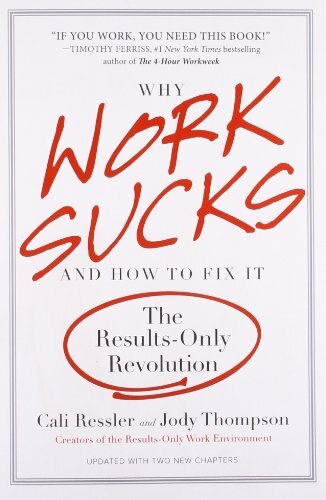 Full of insights about why we succeed and fail, based on 25 years of empirical research. If you've been telling yourself that your not smart enough or don't have the talent to do something, this book will help you change that story to one with a happy ending. So this book isn’t exactly related to Motivation 3.0, but it’s a great book and it didn’t put me to sleep. I expect books about writing to induce sleep, I can’t say I’ve ever found it a fascinating topic. Mr. Zinsser has changed my mind. Reading this book, I got excited about writing. Which is amazing. 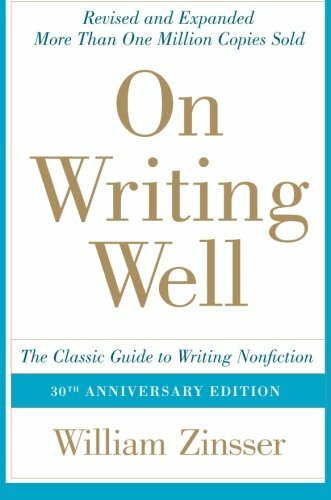 I picked up this book because I know my writing needs improvement and I hope I’ve learned a thing or two from it. It’s not a grammar book, but a book written by a professional author on how to write nonfiction. It was first published 30 years ago and this is it’s 7th edition. If you are writing nonfiction for work, a blog or any other reason, pick up this book. If you have a job, this book will help you. If your a manager, chances are you’re not the best manager you could be and if your a bad manager chances are you won’t have a clue. This book will help you figure out where you stand and what you can do to improve. 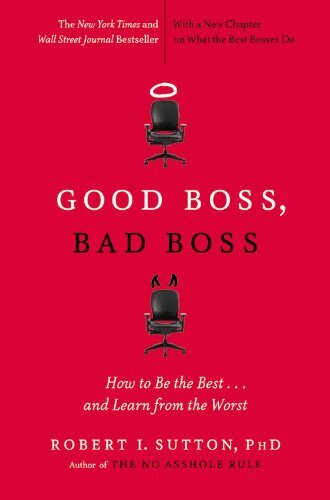 If you have a boss, this book will help you make her a better boss or give you some coping strategies. The book is well written and easy to read. This is a brilliant book. It covers a lot of complex concepts. Mainly systems thinking and learning organizations. Both of these are difficult to explain in a few words, but I’ll try. Systems thinking is about looking at things from a holistic perspective in the hope that you’ll find root problems not cosmetic or symptomatic problems. Systems thinking helps uncover root causes that may be obscured by time. “A learning organization is a place where people are continually discovering how they create their reality. And how they can change it. As Archimedes said, “Give me a lever long enough … and single-handed I can move the world.” Learning organizations are based on a companies support of individual personal development. This book details how companies, governments and institutions are using these methods to solve very complex problems in less time with less resources. Highly recommended. Steven Johnson is a great writer and presenter, I had the pleasure of seeing him talk about his book, The Ghost Map at the Long Now foundation’s Series on Long Term Thinking last year. What a great read! Where Good Ideas Come From is well written and researched. 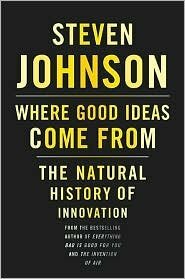 Johnson says, “If there is a single maxim that runs through this book’s arguments, it is that we are often better served by connecting ideas than we are by protecting them.” I could not put this book down and was inspired by the contents. 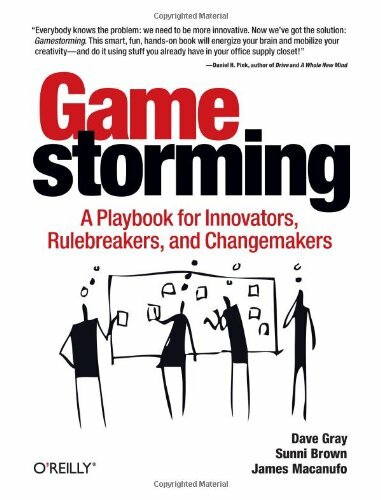 If you are interested in how and where innovation flourishes and how to create environments that are supportive to innovation or you’re just curious about the history of innovation, read this book. This book covers some interesting topics. The main idea is that being very, very good at what you do has very little to do with inborn talent and much to do with practice and hard work. Specifically, directed practice - practice specifically designed to help you improve your skills. 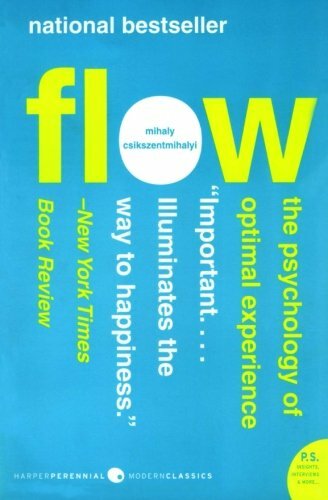 This idea also ties in with Mihaly Csikszentmihalyi’s study of optimal performance or flow. It’s not just a theoretical work, 4 chapters are dedicated to dedicated practice and how to apply it your own life and organizations. Well worth reading for anyone interested in improving performance in a subject your passionate about. Also, these concepts apply to any area of interest, sports, music, arts, business, just about anything. Wow! What an inspirational book! 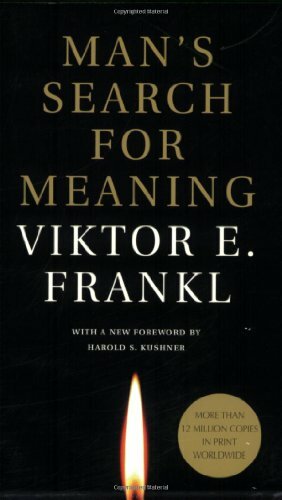 Victor Frankl a neurologist and psychiatrist describes his time in four concentrations camps during WWII and flushes out his theories on what he calls Logotherapy. Most of us have a hard time dealing with everyday life. Dr. Frankl not only survived Nazi Germany, but as a result of his confinement ends up helping thousands of people with his ideas. He says, “…happiness, cannot be pursued: it must ensue, and it only does so as the unintended side-effect of one’s dedication to a cause greater than oneself…” Here we see more confirmation of why having a purpose is so important to living. The first half of the book is about his experiences in the camps and the second part explains his theories on Logotherapy. I’ll be reading this one again and again, it’s that kind of book. 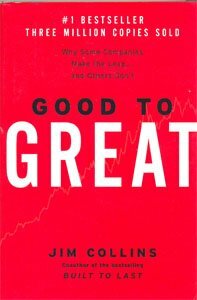 All of the books on this list have great research, but Good to Great has amazing research. Jim Collins and his research team spent 5 years researching how companies listed in the Fortune 500 went from good to great. The criteria to make it into the study is the following: at least 25 years of good performance followed by at 15 years of 3 times the market performance. Only 11 companies made the cut. 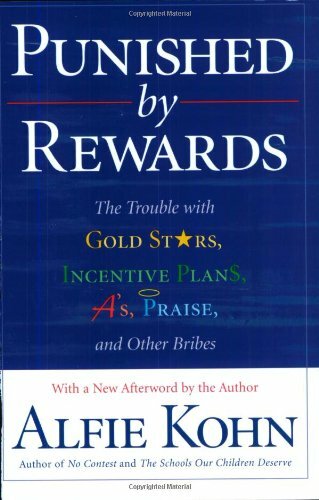 One of the best books I’ve read as far as intrinsic motivation is concerned. This book more than any other I’ve read makes the case for autonomy, mastery and purpose. 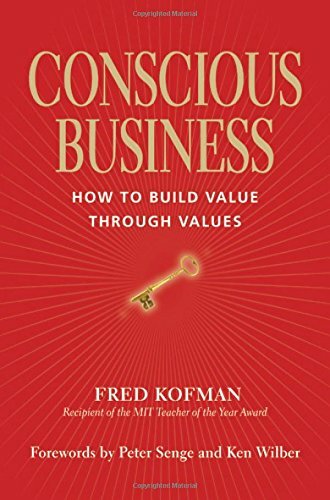 Even though the focus of the book is on large publicly held companies, these principles will work with any size organization, whether for profit or not. Team of Rivals is a fantastic book! I’d forgotten much of what I’d leaned of the civil war during grade school and learned much more than I ever new. 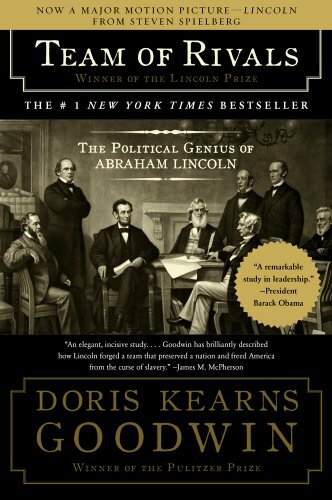 The book is focused on Lincoln and tells the biographies of his family, cabinet and their families and others close to Lincoln as well as his enemies to some degree. I can’t imagine a more humanitarian and inspirational leader than Abraham Lincoln. His ability to let go of the wrongs others have done him for the betterment of the country is breathtaking. He seams to always be able to turn the other cheek and expect the best from those he works with. Ms. Goodwin has outdone herself with this book. If you have any interest in the civil war, Abraham Lincoln, the north, the south, the 13th amendment or US history you need to read this book. It is quite long for a book of nonfiction, though it is a page turner. This country bumpkin lawyer, turned US president is now more than every one of my heroes! It is my hope that I can exhibit some of his qualities of leadership during my lifetime. This may be the best book I’ve had the pleasure to read all year! Barry Schwartz and Kenneth Sharpe have outdone themselves. 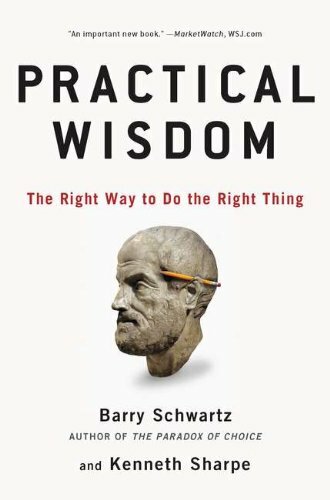 In Practical Wisdom they point to multiple sources of research that says that because we are so laden down with rules and over incentivized with rewards at work that it’s killed our discretion, engagement and purpose. They talk about how rules and incentives have deteriorated teaching and the practices of law and medicine, though the ideas in the book apply to any type of work. At times this book had me in tears or storming mad, it showed me how bad things have gotten in the legal, medical and educational systems. But it doesn’t stop there, it goes on to talk about how some people, who they call “system changers” are already working on fixing these systems by creating environments that are conducive to practical wisdom. The book also spends a good bit of time talking about “canny outlaws,” people who actively resist, at great risk to themselves, things like scripted teaching and unethical behavior that has become the norm. It all comes back to autonomy, mastery and purpose. They call autonomy, discretion and say that it’s a critical component of being engaged at work. Mastery is important because we learn through trial and error making adjustments and improving. Purpose is about serving others and making people’s lives better. The book says that when work is meaningful, engaging and is discretion-encouraging it rises to the level of a calling. This book is full of good practical advice on how to bring the ideas of intrinsic motivation to the workplace. In most chapters the author starts with a test so you can understand where you or your comany is in a given area, such as trust, recongition and empowerment. 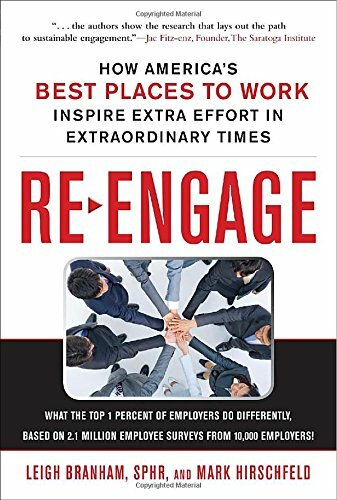 Unlike many of the books I’ve read, most of data from this book comes from Paul’s 20 year career in employee engagement. 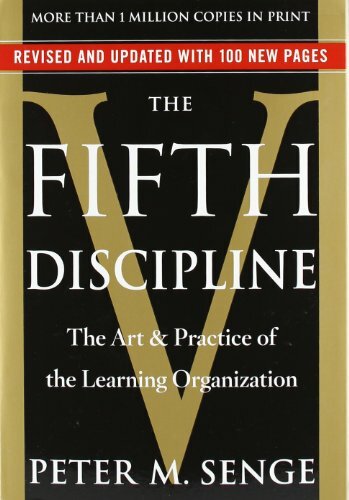 The auther debunks the value of behaviorism in the workplace in the begining of the book and in one of my favorite chapters he describes what’s wrong with employee engagement research, how to spot faulty research and a bit about how to check the validity of survey instruments. Paul has developed the RESPECT model which he uses to teach organizations about building cultures that encourage engagement. “Many of these practices emerged from a kind of “Silicon soup.”” That is they came out of some of the most innovative companies in Silicon Valley. Many of them are used by design teams and firms and they translate quite nicely for use in other business areas. Anyone who’d like to create and innovate will find this book helpful. I’ve been running meetings for more than 20 years and I only knew about 10% of the things in this book. There’s a website to go with the book so gamestormers can socialize and collaborate. This book is a quick and easy read, like Linchpin it reads like a blog. The recurrent theme of the book is don’t wait, just start something, start it now! Poke the box is about getting people to take risks and fail enough to have successes. Yes, that’s what I said and what Seth says, you have to fail to succeed. 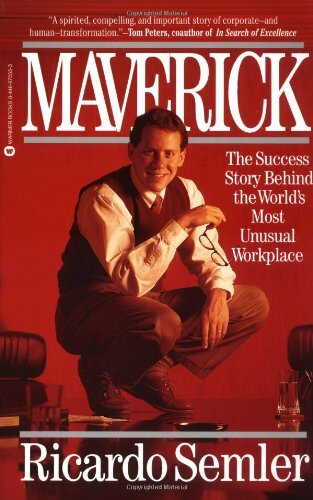 For the folks who are very risk averse or who are afraid to start something new, it’s a must read. Great research and writing make for a great read! 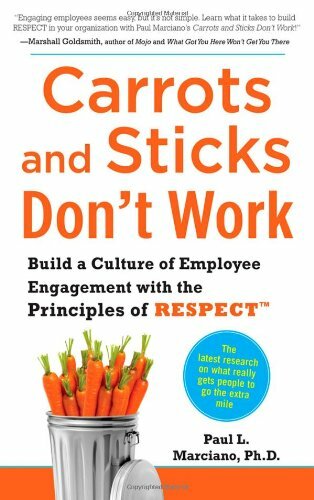 This book is based on data collected from 2.1 million employee engagement surveys collected from 10,000 employers over 6 years. I love data driven books and this one delivers. 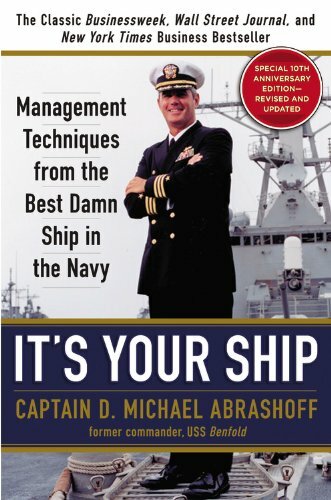 This book is about a Navy Captain who used autonomy, mastery and purpose to run his ship. In two years, it went from one of the worst ships in the fleet, to the best. He was after “results, not salutes.” Many people I talk to say that changing the way they work won’t work. They see the benefit of changing but don’t think it would work at their workplace. The fact that a Navy captain made it work, at sea, during a war, indicates that empowering people, caring about them, enabling them to get great at what they do and making them a part of something bigger than themselves, says otherwise. In 1997 Captain Michael Abrashoff took command of his first ship, the USS Benfold. He was determined to maker her “the best damn ship in the navy.” According to Abrashoff, modern war ships are high tech marvels, complicated technology. It takes not only smarts but drive and innovation to keep them performing. You can’t order people to be innovative or to be engaged. So Abrashoff changed the leadership model on ship. He encouraged everyone one ship to speak up when they had an idea. When a team was working on a project, everyone on the team from the lowest enlisted man, was encouraged to challenge ideas if they saw a better way to do something, officers and even the captain’s ideas could be shot down. The book’s author Dan Ariely is one of the leaders of behavioral economics. Unlike traditional economics which assumes people will act rationally and in there own best interest. 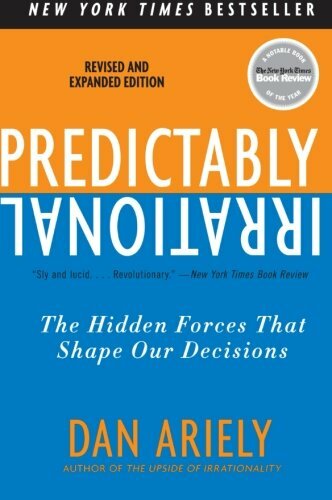 Behavioral economics says that while people act in predictable ways, they seldom act in ways that are rational. Human beings are complex systems and it’s seldom easy to predict how a complex system will act. In fact if there is one thing that is predictable about us humans, it’s that our motivations and reactions are almost always non obvious. Mr Ariely and his colleges go to great lengths to set up repeatable empirical research and often get surprising results. I think the most important findings to come out of this book are the contrast between social transactions and market or financial transactions. We behave very differently when we believe we are having a social relationship and when we are having a financial relationship. Social relationships result in win/win situations. Would you like to know how to stay excited about showing up to work? How to keep employee engagement and innovation at consistantly high levels? Then buy a copy of this book. Theresa Amabile, a Harvard Psychologist and Kevin Kramer have hit a home run with this book. Based on a series of articles from Harvard Business Review (Creativity Under the Gun,Inner Work Life) and 30 years of research, this book shows us that how we think about our work is what determines our satisfaction, engagement, motivation, creativity and production. They also conducted a study that contains journal entries equivalent to 12,000 worker days of 238 people in 26 project teams in 7 companies. They were asked to answer a series of questions every day, the most important question was, “Briefly describe one event from today that stands out in your mind.” The only qualification is that it had to be relevant to work in some way. Teams answered these questions over 8 to 37 weeks. 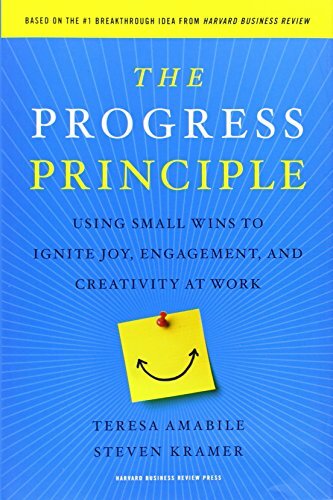 There findings: “Our research inside companies revealed that the best way to motivate people, day in and day out, is by facilitating progress—even small wins. But the managers in our survey ranked “supporting progress” dead last as a work motivator” The interesting thing about the study is this was not an expected result, it was a pleasant surprise.It’s not exorbitant bonuses, amazing perks, or charismatic leaders that get people fired up about going to work. It’s accomplishment that propels us forward. This book is essential for anyone in a leadership position and a great read for everyone who wants to have better results and relationships at work. The practices it lays out are closer to a spiritual practice than a corporate rulebook. That in no way diminishes the content. This book is written by Fred Kofman, the guy that LinkedIn CIO, Jeff Weiner, hired to coach his team on how to play well together. Not only will the practices in this book teach you how to play well together, it will teach you how to play well with others that may not have a clue. Like all meaningful leadership practices, working this way is harder and produces much better results. 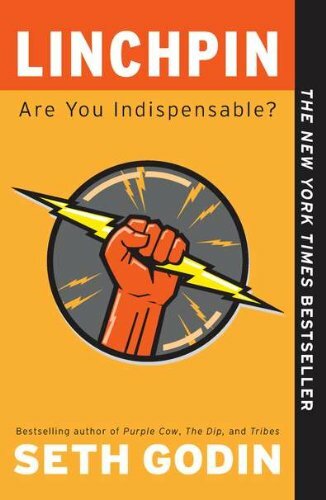 If you follow the suggestions in this book, your communications will improve dramatically, if you can get your team to adopt it, they'll be supercharged. This is one of those books that is so full of good information, you'll want toreread it from time to time.